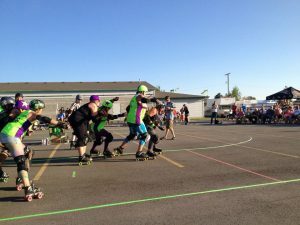 It wasn’t until I played roller derby that I gained an appreciation for football. Previously I found it boring because I couldn’t understand all the rules, and was annoyed by all the start-stop-start-stop. But once I played a full contact sport (which has a TON of rules) it all made a lot more sense. I started watching football regularly and gained a better understanding of the game. Then after my concussions, it was tough to watch because I can imagine what all those slamming hits feel like. 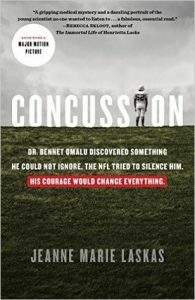 Last year, I read Concussion by Jeane Marie Laskas and swore off football for good. The NFL is a monster. When the season started this year, I thought Meh, I’m done following football. Then my favorite team had a phenomenal season and was number one in the league. Welllll…. I reasoned with myself, the games are going to happen whether I watch or not so I guess I should go ahead and cheer them on through this winning season. So now my team is in the Super Bowl and I’m really freaking excited! 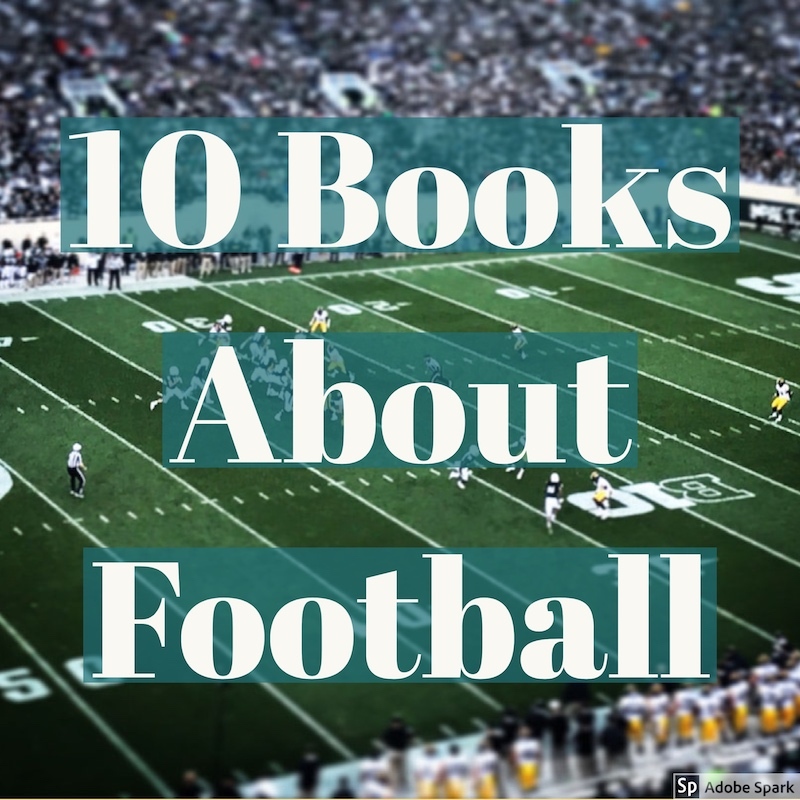 I could think of a couple books about the sport, but relied on Google and Goodreads to help me put together this list. Enjoy! 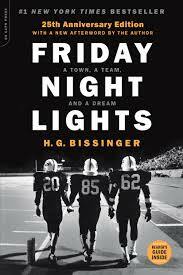 Before it was teenage soap opera I binge watched on Netflix, it was a non-fiction book about the winningest high school football team in Texas history. The author follows one of the Permian High School Panthers’ seasons and shows how devotion to the team shapes the community, which is often struggling. From Goodreads: When we first meet Michael Oher, he is one of thirteen children by a mother addicted to crack; he does not know his real name, his father, his birthday, or how to read or write. He takes up football and school after a rich, white, Evangelical family plucks him from the streets. Then two great forces alter Oher: the family’s love and the evolution of professional football itself into a game in which the quarterback must be protected at any cost. 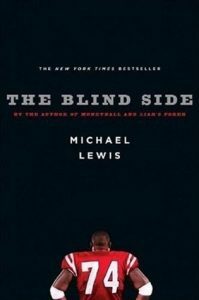 Our protagonist becomes the priceless package of size, speed, and agility necessary to guard the quarterback’s greatest vulnerability: his blind side. I read this novel last year and found it oddly moving. Set in Texas during the Iraq War, we follow the surviving members of the heroic Bravo Squad through one frantic stop in their media-intensive “Victory Tour” at Texas Stadium, during a Dallas Cowboys football game on Thanksgiving Day. I appreciated how the novel blatantly looks at the huge disconnect between the way the war is seen at home, and the war abroad. From Goodreads: Gary Harkness is a football player and student at Logos College, West Texas. During a season of unprecedented success on the football field, he becomes increasingly obsessed with the threat of nuclear war. Both frightened and fascinated by the prospect, he listens to his team-mates discussing match tactics in much the same terms as military generals might contemplate global conflict. 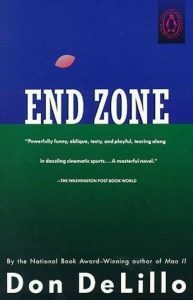 Offering a timely and topical look at human beings’ obsession with conflict and confrontation, “End Zone” is a clever, playful and, above all, funny novel, which confirms DeLillo’s status as one of the great American writers of the twentieth and twenty-first centuries, and reaffirms the unerring incisive accuracy of his portrayal of the modern world. 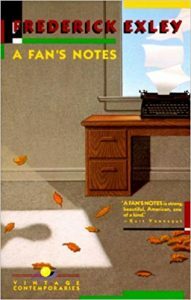 From Goodreads: This fictional memoir, the first of an autobiographical trilogy, traces a self professed failure’s nightmarish decent into the underside of American life and his resurrection to the wisdom that emerges from despair. 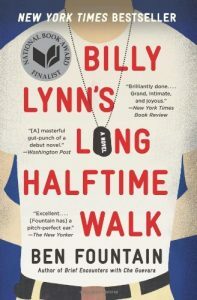 From Goodreads: Magisterial and sweeping, definitive and unprecedented in scope, America’s Game is cultural history at its finest. 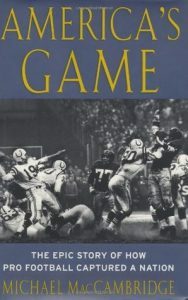 A thoroughly entertaining account of the entire universe of professional football, from locker room to boardroom, from playing field to press box, it is a unique lens through which to view the past sixty years of American history. From Goodreads: Why Football Matters is moving, funny, vivid, and filled with the authentic anxiety and exhilaration of youth. Edmundson doesn’t regret playing football for a minute, and cherishes the experience. His triumph is to be able to see it in full, as something to celebrate, but also something to handle with care. 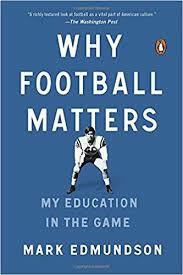 For anyone who has ever played on a football team, is the parent of a player, or simply is reflective about its outsized influence on America, Why Football Matters is both a mirror and a lamp. From Goodreads: What are the consequences when college football coaches are the highest paid public employees in over half the states in an economically troubled country, or when football players at some schools receive ten times the amount of scholarship awards that academically gifted students do? 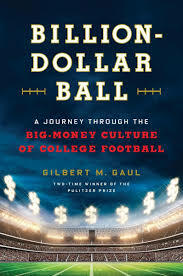 Billion-Dollar Ball considers these and many other issues in a compelling account of how an astonishingly wealthy sports franchise has begun to reframe campus values and distort the fundamental academic mission of our universities. From Goodreads: While best known for his iconic photograph of Muhammad Ali towering over a fallen Sonny Liston, it is his football pictures Leifer considers his best. This collection represents the best of his best, culled from over 10,000 rolls of film on the sport. 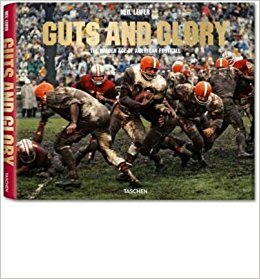 With an introduction assembled from the best football columns of the era by famed sports columnist Jim Murray, and incisive captions detailing the legendary players, coaches, and games, this volume carries the guts and glory of the game into the end zone. As I mentioned above, this book got to me. Yes, it’s about the NFL denying evidence that concussions lead to long term damage, but it’s ultimately about much more than that. It’s story of forensic pathologist Dr. Bennet Omalu. We learn about his life, and what led him to be in the right place at the right time to make the discoveries he has. And ultimately he has to make a decision to stand up to a multibillion-dollar company,so the world will know the truth. Regardless of your opinion on football in America, there’s no denying it is a part of our National culture. It’s easy to write it off because of the current controversies, like I was about to. And yes, there are a lot of “issues” with the business that is the NFL. 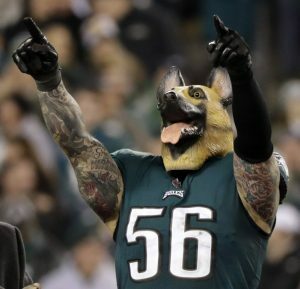 On the positive side for me is the fact that these past few months rooting for the Eagles have stirred up my sense of connection with the place where I grew up. Montanans are friendly, but they can be a little judgy of transplants! 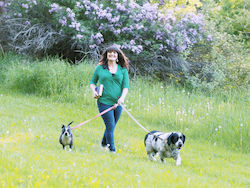 I have enjoyed this recent surge of hometown pride and wanting to speak up about my roots! Bleachers by Grisham should be on this list. A serious good football read!